Dr. Robson and his entire team are dedicated to providing the highest quality of general and aesthetic dentistry while promoting and preserving the most optimum oral health. For over 30 years Dr. Robson's mission has been to provide quality dentistry in a professional and attentive manner, focusing on prevention, education and comfort. He stays current with technology, information, and continuing education courses to provide his patients with the best in oral health. Part of his commitment to treating his patients means providing information that helps them to make more informed decisions about their oral health. This website is a resource we hope you’ll find both useful and interesting. Please browse through this website and if you have any questions or would like to schedule an appointment, please call us at (705) 645-4151. 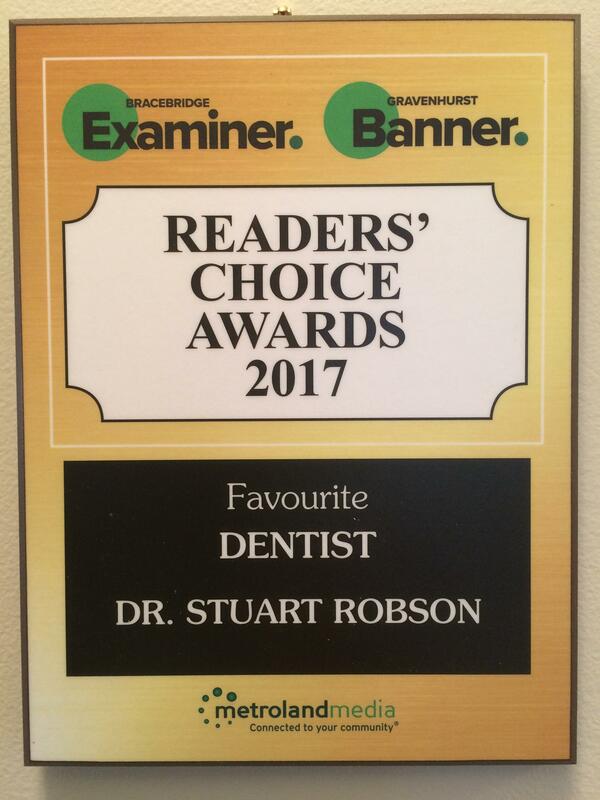 Bracebridge, Ontario Dentist, Dr. Stuart Robson is dedicated to family dentistry such as Exams, Teeth Whitening, Veneers and more.